Instagram is indubitably a top superpower amongst rival social networks LinkedIn, Twitter and even IG’s own parent company, Facebook. As of April 2017, Instagram currently has over 700 million monthly active users. To put this into perspective, that’s over double the monthly active users of Twitter and three times as much for monthly active users on WhatsApp and Facebook Messenger. Instagram is a network that works best if you share beautiful photos and visual assets. But even “boring” B2B businesses with intangible products can create beautiful images and videos to get the attention of their audience. Add in a targeted hashtag strategy, and you may be surprised by how easy it is to use Instagram to connect with your ideal customers. If you’ve been struggling to determine where your business should focus social media efforts, these Instagram stats may help to solve that problem for you. Can you imagine the state of social media marketing without hashtags? Not only do hashtags help social media users organize and categorize content, but they’re also one of the driving forces behind some of today’s best marketing campaigns. Hashtags are everywhere, from casual conversations on and offline, to TV commercials and billboards. Hashtags for Instagram aid in content discovery and optimization. As brands increase their dependence on user-generated campaigns, hashtags continue to be important for the acquisition and promotion of Instagram content. Instagram posts with at least one hashtag have 12.6% more engagement than those without. And although each Instagram post allows up to 30 hashtags, research on the topic suggests that the optimum number of hashtags is 11. One of the best ways to kick off a UGC campaign on Instagram is with the help of a branded hashtag. A branded hashtag is unique to your business or marketing campaign. It can be as simple as the name of your company, product or a related tagline. A branded hashtag also doesn’t necessarily have to include your company’s name. Feel free to get creative, as BarkBox did with their #DestroyersClub branded hashtag, driving awareness for their hardy dog toys. If you decide to make use of branded hashtags, you’re in good company. According to a Simply Measured study, 7 out of 10 hashtags on Instagram are branded. A tool like Sprout Social can help you to see which branded hashtags receive the most engagement and which ones are used the most with your username. 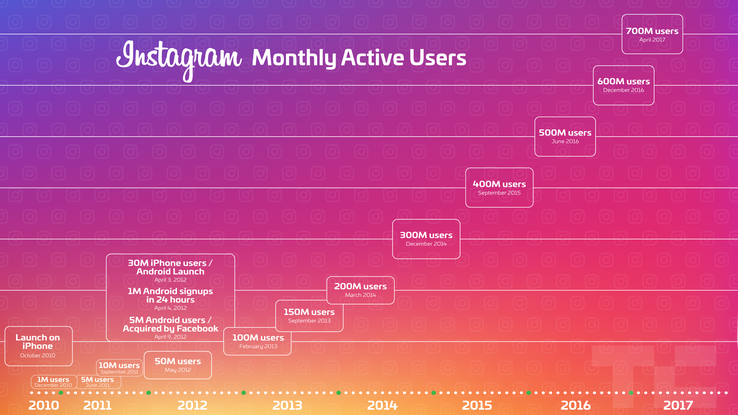 Perhaps one of the most interesting Instagram statistics has to do with how fast the network is growing. With regards to business growth, the aforementioned Instagram stat is almost double the number of businesses (48.8%) that used Instagram in 2016! There are currently 8 million Instagram Business profiles, up from 1.6 million in September 2016. Small businesses currently make up the majority of Instagram advertisers and business profiles. An Instagram Business profile allows you to add additional contact information than what would otherwise be possible on a basic Instagram profile. This information includes a business phone number and address. To go from a personal profile to a Business profile, you’ll need to have a Facebook page for your business. According to Instagram, 80% of users say they follow at least one business on the app, with 60% hearing about a product and service through the platform. As of March 2017, over 120 million Instagram users visited a website, gotten directions, called a business, emailed or direct messaged a business. Each of these activities signifies some level of interest, and in many ways, these Instagram fans can be considered as leads. To get more tangible, at least 30% of Instagram users have purchased a product they first discovered on Instagram. Instagram analytics (via Business profiles) can provide you with data about impressions and reach per post, as well as follower demographics, which shows how your posts performed and what your audience is like. 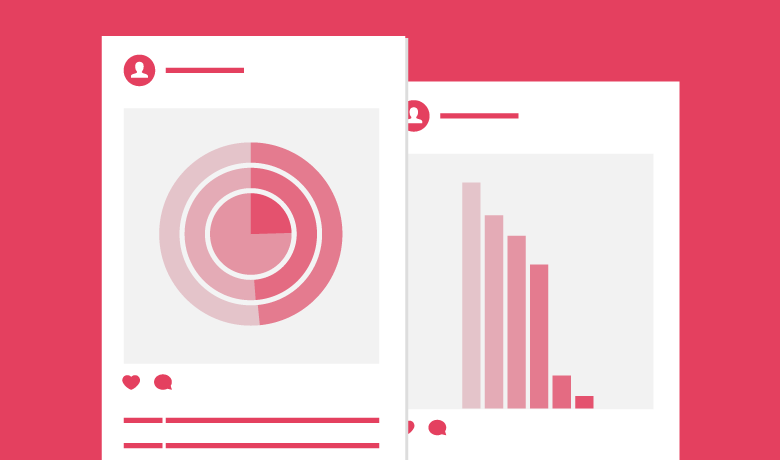 If you use Instagram ads, you’ll also have access to data about how your ad performed. These Instagram stats are important to know so that you can create posts that your followers will like and respond to. Sometimes this data isn’t enough on its own. 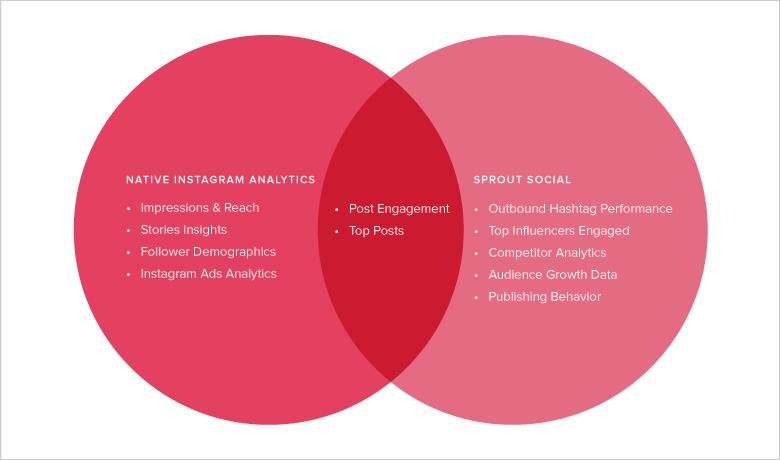 Some Instagram stats specific to your company can only be found with the help of Sprout Social’s Instagram Analytics Tool. As of March 2017, since rolling out the Business profile feature, the number of Instagram advertisers now totals 1 million. This number is up from 200,000 recorded in March 2016. A study by eMarketer in 2015 shares that Instagram mobile ad revenues could reach $2.81 billion in 2017, accounting for 10% of Facebook’s total revenue. The study also predicts that Instagram is projected to have higher net mobile display ad revenue (in the US) than Google or Twitter. It seems Instagram already surpassed these projections. Instagram is estimated to rake in $4 billion in global advertising revenue by the end of 2017. While photos ads are the most common on Instagram, video has gained a lot of traction. In fact, 25% of Instagram ads are single videos. Video ads can be up to 60 seconds long, but according to data from Wistia, drop off in engagement occurs quickly as length increases. If you can hook the audience within the first 30 seconds, they are likely to stick around and engage. Video ads are most effective at getting higher engagement rates but tend to cost a bit more than photo ads. If necessary to communicate your message, don’t forget to add captions to videos. 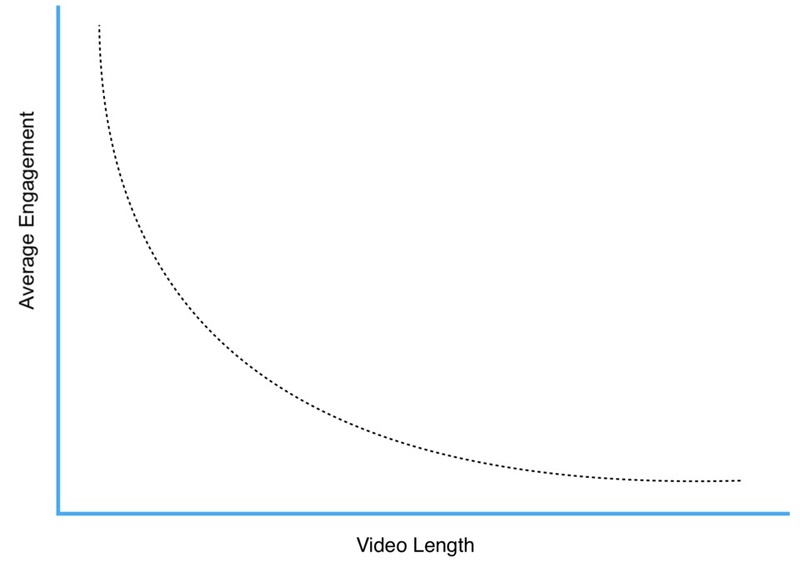 According to Digiday, 85% of Facebook video is watched without sound. Though Facebook is a different platform, it’s fair to draw parallels in this case in terms of the nature of video content consumption. Brands like Lululemon, Ford, MTV and Disney use video ads to achieve various business goals. One week after launching, Lululemon’s videos received two time more engagement than its photos did. Thanks to the information overload on the internet, you’ll want to make sure your Instagram video ads stand out. Instagram Stories are like Snapchat Stories, which disappear after 24 hours. There are currently over 250 million active daily users of Instagram Stories, overtaking Snapchat’s active daily users. This represents yet another incredible Instagram stat, as the Instagram Stories feature is only about a year old. This stat is also a great sign for advertisers, as Instagram Story ads are now available for all brands. The ads appear between people’s stories and can take on a photo or video format. This Instagram ad type has been used by Etsy, Northface & AirBnB. In fact, AirBnB reported a double digit increase in ad recall. Instagram has continued to expand on its geo-tagging feature for a while now. 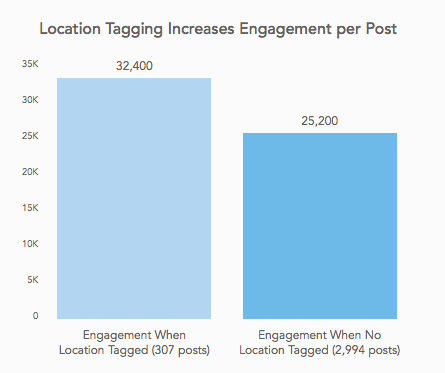 So it should come as no surprise that posts with location have 79% more engagement than those without. On a final note, and before giving up, realize that it’s definitely possible to speed up Instagram growth (and engagement) without buying followers or likes. Among social networks, Instagram boasts the highest engagement rates. However, Instagram also deals with content overload and saturation. Over 95 million photos are shared on Instagram daily, which means it can be hard for customers and potential customers to find your posts. But due to the new algorithm, 70% of Instagram posts aren’t seen. Instagram’s new algorithm focuses more on past page engagement when choosing what content people will see. To fix this disheartening Instagram stat, up your Instagram engagement game. Be different than other businesses on Instagram and use Instagram Stories ads or Live videos to tell unique brand experiences. Additionally, tag places in your posts so that people searching those places can discover your content, which leads us to our next Instagram stat. The internet is full of studies claiming to know the best posting times for social networks. Often times, the data can be somewhat conflicting. 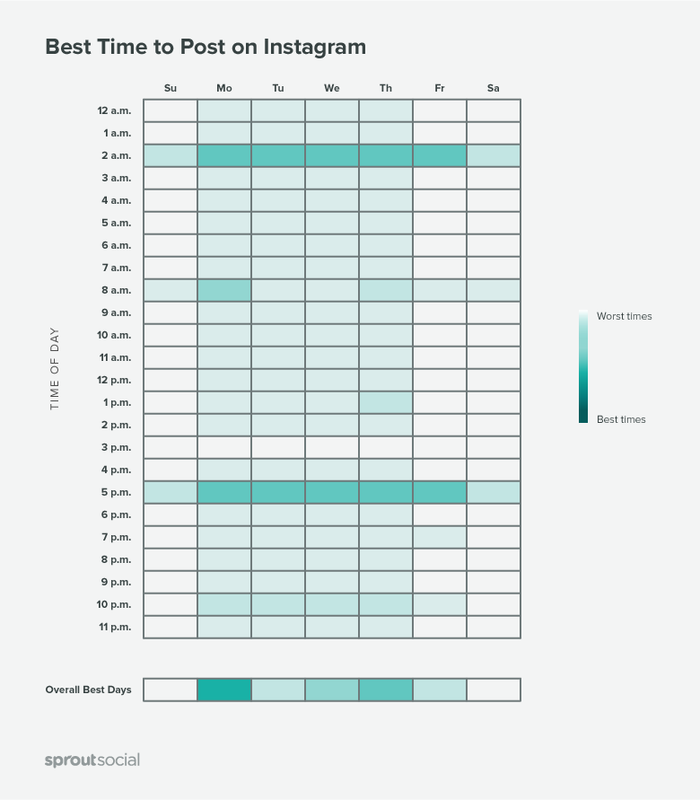 So we decided to roundup all the stats and studies we could find and organize it to get a general consensus on the best times to post on Instagram. 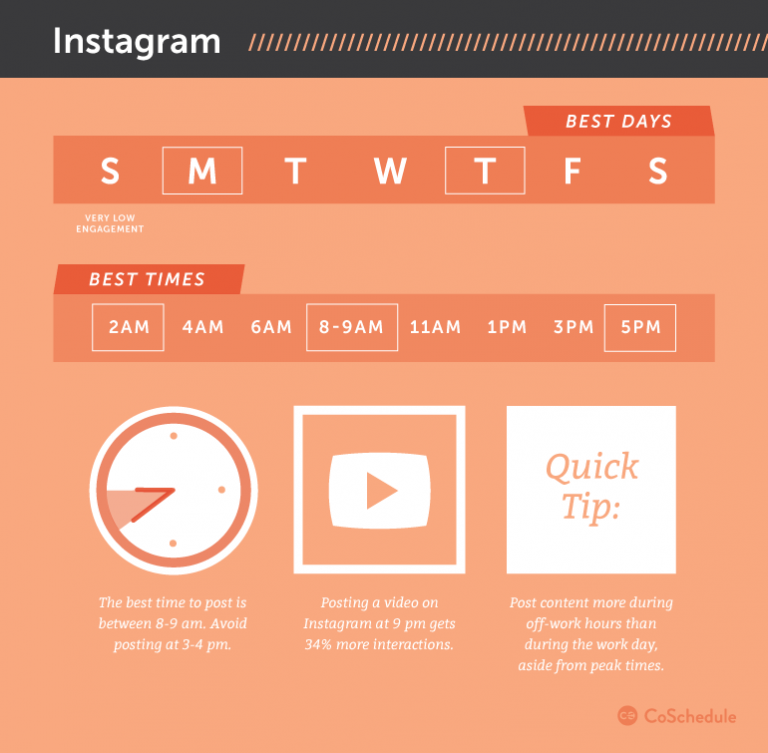 The most recommended times to post include 2 a.m., 8.a.m. and 5 p.m. Taking a guess, the low activity around 3 p.m. might be due to people focusing on last-minute meetings and projects at work before heading out for their commute—which conversely explains why the 5 p.m. time slot is so good for engagement. If you’re publishing a video on Instagram, CoSchedule found that doing so at 9 p.m. garners 34% more interactions. However, posting videos anytime between 9 p.m. and 8 a.m. should still result in good engagement on average. These days and times will likely vary by industry and individual audience and are meant to act as a simple baseline for your own social media activities. For best results, track your Instagram analytics to measure engagement with the different posting days and times. Doing so will show you what works best for your content and audience. What’s interesting about Instagram Video is while consumption has increased 40%, photos generate 36% more likes than videos. This could be due to any number of reasons. For instance, users could just watch your video then keep scrolling. Or in some cases, your videos might not drive people to take action. Check out these examples of brands doing a great job with Instagram video to get some ideas on how you can improve. Though you shouldn’t be self-promotional all the time, Instagram users actually enjoy seeing photos of your products. Research from L2 found 65% of top-performing brand posts on Instagram feature products. In fact, product posts even beat out lifestyle content (43%) and images or videos from an influencer or celebrity (29%). But before you change your content strategy to feature your products in every post, don’t forget the 80/20 rule. The 80/20 rule states approximately 80% of your content should be focused on educating, enlightening and engaging your audience, and only 20% should be self-promotional. Gary Vaynerchunk applies this principle to social media marketing strategy in his book, Jab, Jab, Jab, Right Hook. Not all of your images should feature standalone products. Some of your images should include faces. Instagram photos that feature faces get 38% more likes than those without. Adding faces to your photos doesn’t always have to mean taking portraits or selfies. Quirky photos of your team together at an event or around the office can also be effective. WeWork does an excellent job of including the faces of their team and community in photos. You can also mix in some lifestyle photos of people using your products. This is an excellent segue into our next stat. You might also want to consider mixing products into your user-generated content campaigns. When a consumer sees a user-generated photo, they have a 4.5% higher chance of conversion. This number increases to 9.6% if they interact with the photo. No brand exemplifies the power of user-generated content on Instagram as much as GoPro. Nearly their entire page consists of photos shared by customers. Check out our guide on social media conversions to learn more on what can convert into a selling post! 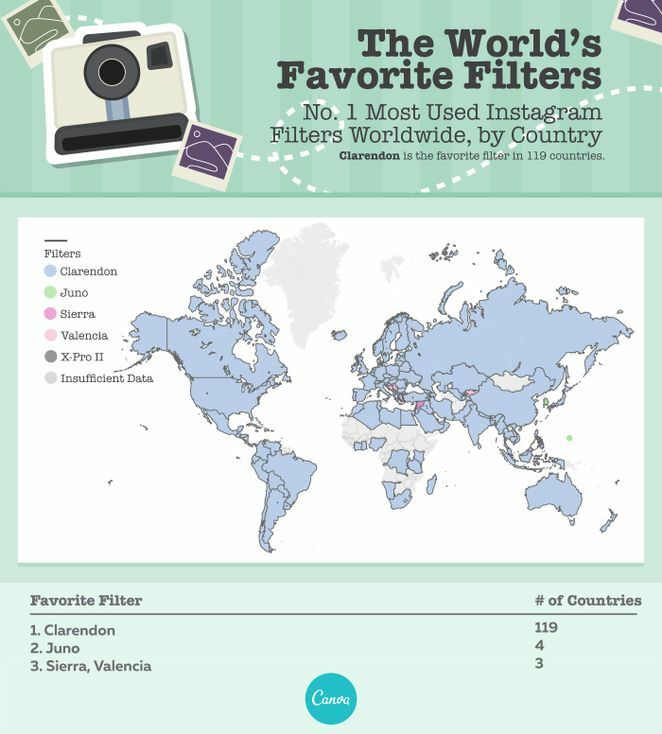 There are 40 unique filters to choose from on Instagram (with Snapchat-esque face filters just announced), yet only one has unilaterally captured the hearts of users in 119 countries: Clarendon. Surprised? So were we. According to Canva, Clarendon tops the list, probably because of its use as an all-purpose filter. It brightens, highlights and intensifies shadows. Another reason? Laziness. It’s usually the default filter after the Normal option. A more recent study by Hopper found similar results to support the universal love of Clarendon, but also introduced a second-most popular option as far as Instagram filter usage: Gingham. There’s no doubt that Instagram is a visual platform through and through. In fact, even its captions and comments—the sections intended for text—display images via emojis. Thanks to support from iOS and Android keyboards, now nearly 50% of captions and comments on Instagram contain at least one emoji. Emojis go beyond the simple smiley or icon to display an emotion. Now there are roughly 1,851 different emoji options to choose from with more added all the time. These small digital images or icons are used to express an idea or emotion. With quicker adoption rates, emojis are the fastest growing language in the UK, evolving faster than ancient forms of communication, such as hieroglyphics. Due to Disney’s reputation as a fun and whimsical bran adored by kids, it shouldn’t come as a surprise that the animation pros frequently include emojis in their captions. In 2015, in an effort to capitalize on the popularity of emojis, Instagram released support for them in hashtags. This means emojis (and combinations there of) are now searchable on the platform. Following the rollout, Curalate found individual emojis were hashtagged more than 6.4 million times over a one-month period. Check out our Instagram caption ideas post to get creative wth your captions. Keep in mind that this research was conducted in 2015, so there’s a very good chance these numbers have shifted since that time. The most frequently used emoji is the single red heart, which has been shared more than half a million times (at the time of the study). There’s also a lot of positivity in the list. Four out of the top five emojis are positive smiley faces. And if you look at the top 20, half are smileys. But it’s not just smileys enjoying the top spots; hearts, kisses and positive hand gestures all rank highly as well. This leads us to believe that people often use Instagram to express positive sentiment. Although the US ranked last for emoji usage in text at 38%—and despite the fact that 80% of Instagram users are outside of the US—the American flag is the only flag to break the top 100 (sitting at number 59). Emojis are more than just a marketing trend. They can add another element to your social listening strategies. Unsure whether that comment was positive or negative? 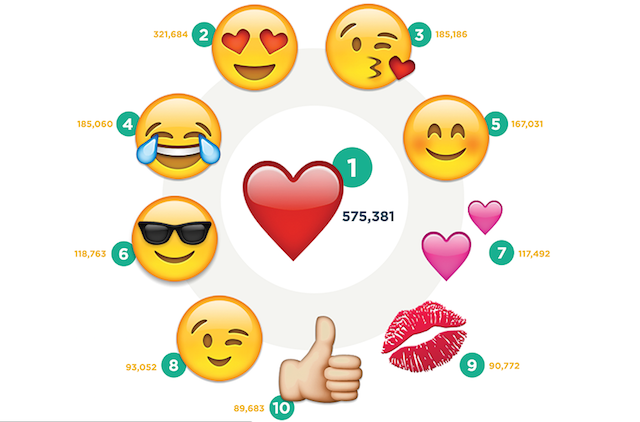 The right emoji marketing strategy can help fill in sentiment gaps. Engagement doesn’t always come with context, and emojis can help you gleam a little more insight from what fans are sharing. In terms of sharing yourself, don’t just slap any emoji onto your photo’s caption. Just as you put thought into what image you publish and the description you give it, think about the emojis you’ll use in conjunction with or in place of your text. 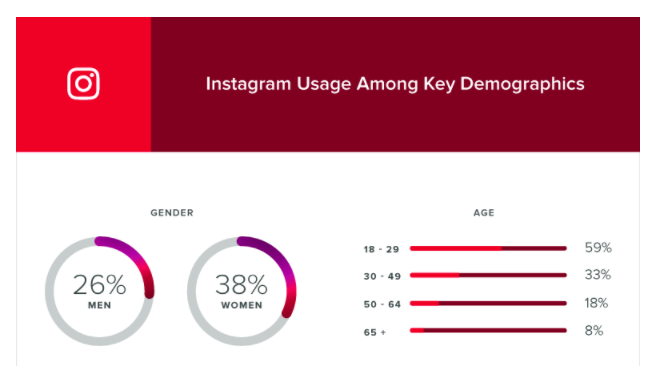 Understanding Instagram’s demographics is important for audience targeting and crafting your messaging. While older users have certainly started to gravitate to the app, 18-29 year olds are the primary users. For brands, this means it’s the perfect social platform to reach a younger demographic of millennials and even the up and coming Gen-Z. If that’s your target audience, Instagram should be a priority for your social media and content strategy going forward. For international brands or brands just outside of the US, you’ll be happy to know that Instagram has active users around the world. In fact, the company reported that 80% of its users live outside of the US. This stat is also important for brands who don’t serve customers in other countries. Just because they may not buy from you doesn’t mean they can’t support or promote your page. Also, keep in mind that some of your customers in the US may be from other parts of the world, so you don’t want to alienate anyone. Try to integrate multicultural visuals and content into your Instagram strategy to appeal to a wider audience. Knowing and understanding each of these Instagram stats is useful, but it’s what you actually do with the information that makes a difference. So instead of just gathering these up to refer back to at random, take the time to determine how each Instagram stat might help to improve your business. Any changes you make to your strategy won’t mean a thing unless you’re prepared to track the differences. With a social media management tool like Sprout Social, you can monitor hashtags, manage comments and track engagement for multiple accounts. 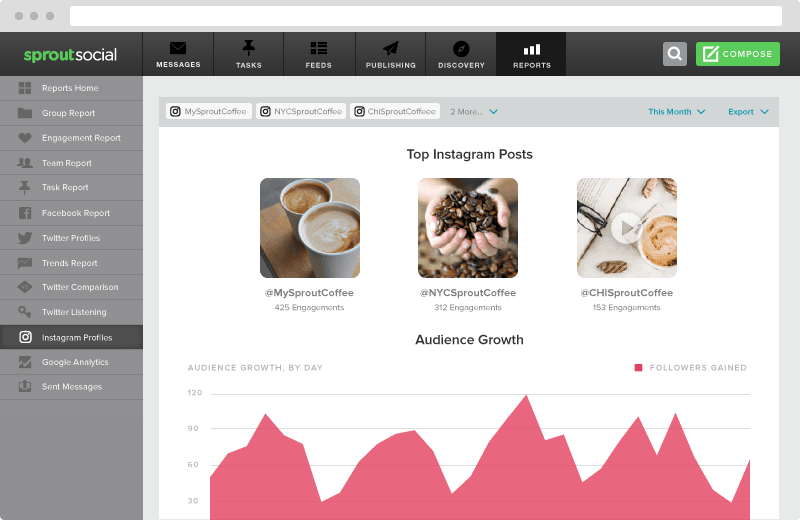 Additionally, you can easily run and share reports on engagement, hashtags, followers, content and profile analytics. Not only is Instagram a powerful platform for marketers and your brand, but now you have the proof to back up the claim. What are the most interesting Instagram stats you’ve found? Tweet at @SproutSocial and we’ll share our favorite insights!